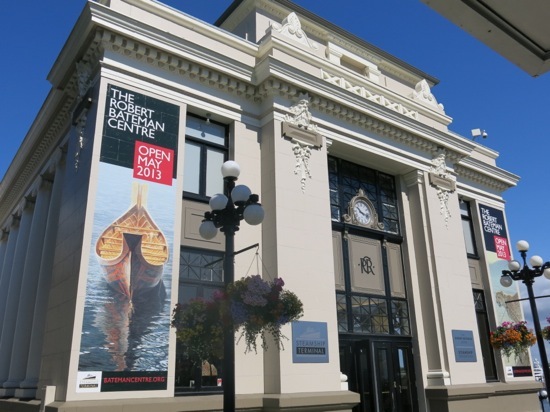 The Robert Bateman Centre is in the restored Steamship Terminal. Although I'm a loyal Closet Canuck, I admit I'm not familiar with the legendary Canadian artist Robert Bateman. But I found out plenty about him when I last visited Victoria in July. 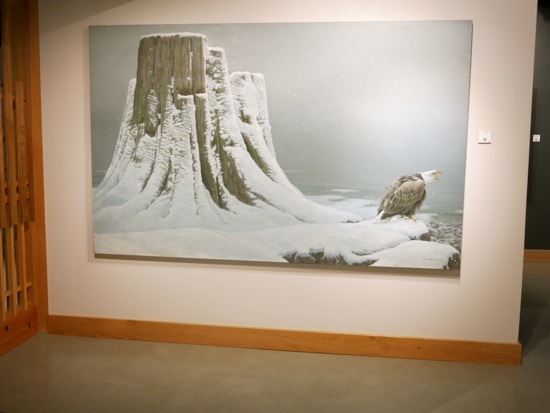 Bateman is a Canadian naturalist and painter who focuses on wildlife and nature in his paintings, with his subjects ranging from Africa to Canada's Arctic. 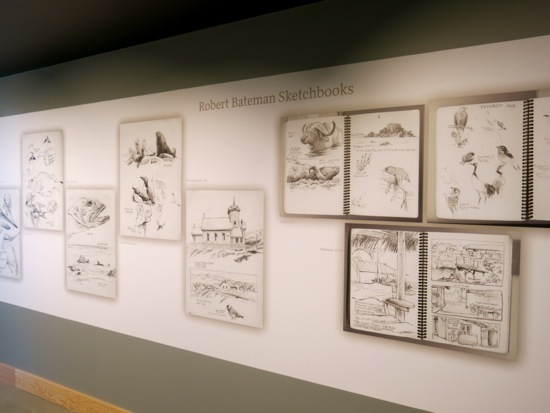 On May 24, 2013 The Robert Bateman Centre opened in Victoria's Inner Harbour. Located in the historic CPR Steamship Terminal* that's been restored, the 5,000 sq. ft. space (465 sq. meters) includes a gallery, educational space and retail store. The permanent exhibition features about 160 of Bateman's masterpieces, with some of the paintings in the $11 million collection never seen before by the public. The exhibition begins with a section of The Loretta Anne Rogers Gallery that's dedicated to British Columbia. Bateman moved to BC's Gulf Islands in the 1980s, which resulted in an outpouring of new work, some of which appears in this gallery. The Suzanne and Walter Scott Galleries showcase some of his best work inspired by his travels and affection for Africa. Tools of the artist. 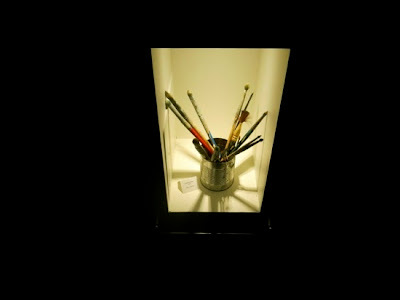 Robert Batemen's brushes on display. Ten galleries cover different aspects of Bateman's work, two of which are of special interest to youth and children. The Family Gallery includes a hands-on nature play area for children under 10, while the Kathryn Iredale Gallery focuses on birds. The bird collection may be explored by a multi-channel sound system and sensors on the paintings. When visitors pass their hands over the labels on the paintings, an appropriate bird sound resonates in the gallery. I enjoyed watching the video in the Diane and David Reesor Theatre, where Bateman spoke about his vision while working in his studio on Saltspring Island. *The CPR Steamship Terminal is a historic landmark in Victoria's Inner Harbour. Constructed in 1924, the neo-classical building was designed by Francis Rattenbury and P. Leonard James. Rattenbury was also the architect of The Fairmont Empress Hotel and the Legislative Building.